La Lavande is one of four properties at La Châtaigne Gîtes. La Rose is a cosy and characterful little converted barn set in an enclosed garden with three other gites sharing a pool. La Charente is a tastefully decorated 6 person holiday apartment (gîte) located on the first floor with 64 m² living space and three bedrooms. 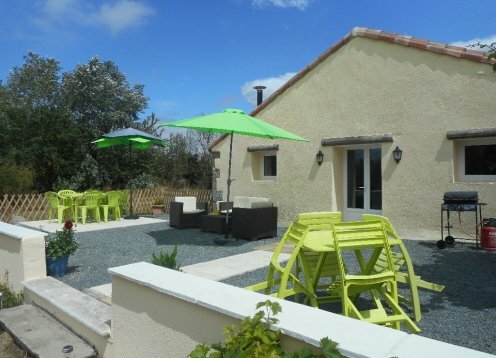 Le Tournesol forms half of a converted barn with an open plan kitchen, living and dining area. For more information please see our web site; www.giteslafoye.comLa Grange at Le Manoir de La Foye. Homes For Holiday Not Holiday Homes. L'Ecurie at Le Manoir de La Foye. For more information please see our web site; www.giteslafoye.comL'Ecurie at Le manoir de La Foye, Homes For Holidays Not Holiday Homes.